The World No. 1 from Serbia and the World No. 2 from Spain lead the field of the 2018 Mubadala World Tennis Championship. Before the stars of the 2018 Mubadala World Tennis Championship (MWTC) hit the court at Zayed Sports City in Abu Dhabi, with Novak Djokovic, Rafael Nadal and the Williams Sisters, the tournament’s “fab-four” met the media on Thursday afternoon. World No. 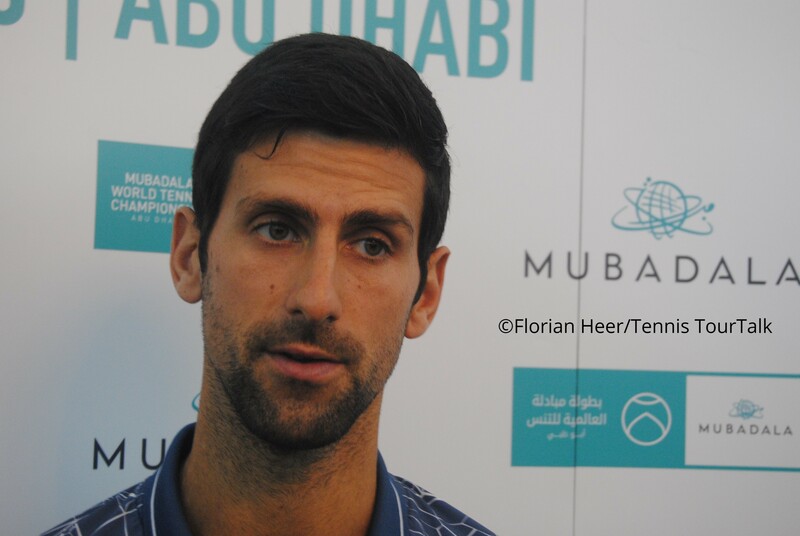 1 Novak Djokovic is also looking forward to the start of the new season. “The last 12 months were very exciting. I was still carrying the elbow injury and had to undergo surgery. When I returned from that I was ranked World No. 22 and four of five months later I was World No. 1. This was quite a rollercoaster ride for me. “I am very grateful for this season, as it taught me a lot about me as a tennis player. I really had to understand my game in every aspect in order to get there, where I am at the moment. I hope that I can carry the confidence from the last six months into the 2019 season. This entry was posted in Mubadala World Tennis Championships Abu Dhabi and tagged Mubadala World Tennis Championship, MWTC, Novak Djokovic, Rafael Nadal.